Just a few days left before school is finally out for us, and I’m trying to put a few more plans in place. 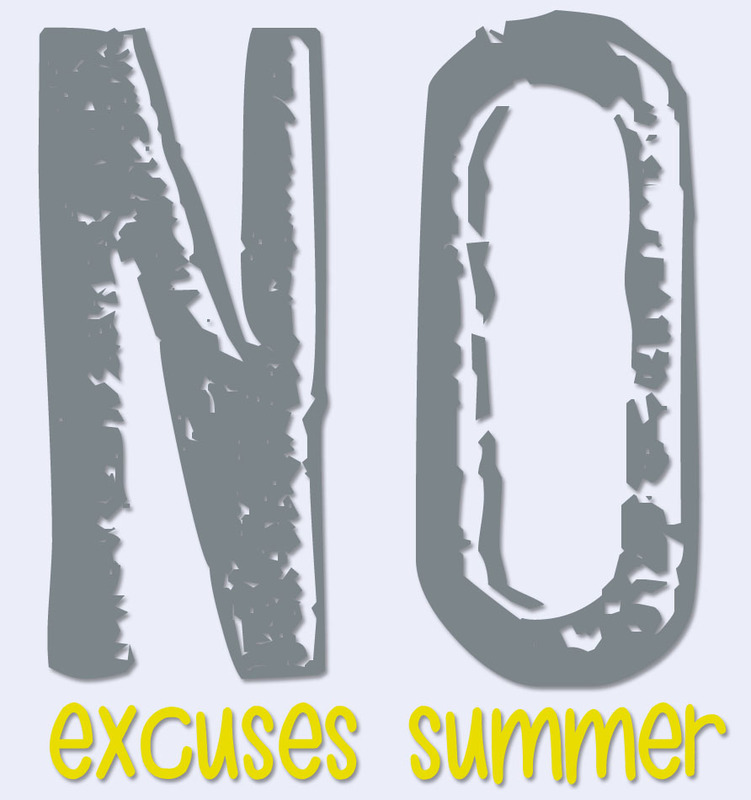 I’m coming off a week where both kids have been sick – and it has shown me how incredibly important it’s going to be to have some structure this summer, while working to keep that structure somewhat flexible. Which just sounds impossible, I know. Our first three weeks of break are going to be our busiest – appointments and parties the first week, Tom and I will be heading to our denomination’s annual meeting in Sacramento the second and we have VBS the third. If we can make it through all of that, the rest of summer is pretty quiet (something I’m already looking forward to). 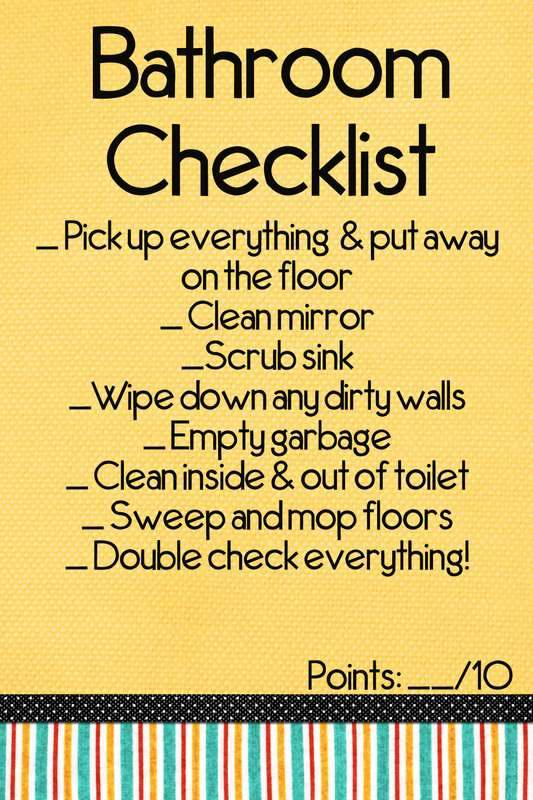 For me, a tidy house just makes everything easier and more peaceful. 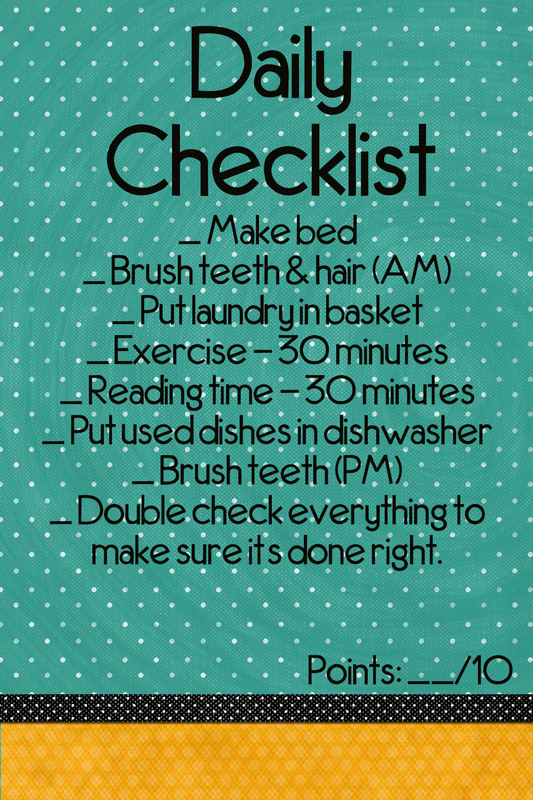 We’ve tried a few different ways of getting chores done, and none have seemed to work for us yet…but I’m trying one more. 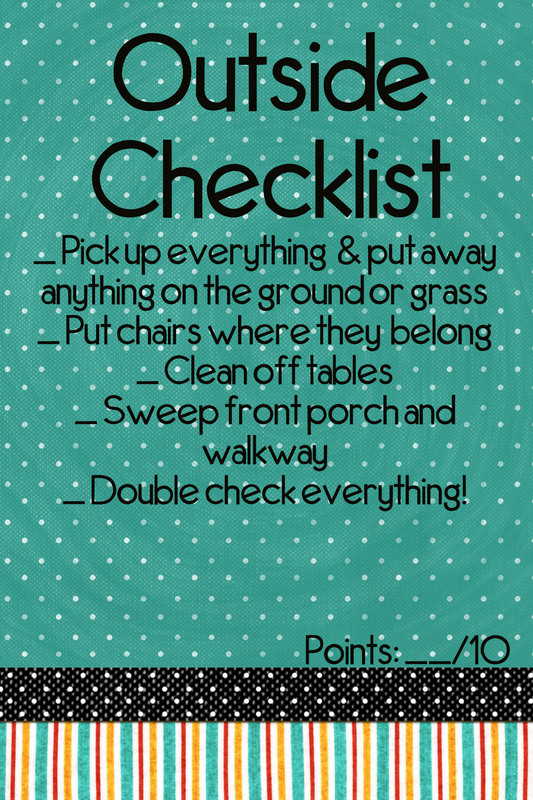 I found this chore card idea from Organic Families via Pinterest a few weeks ago, and knew I wanted to try it. I created my cards as 4×6’s so I can get them printed with a photo order I need to get done this week and – if I can find my old Xyron – I’ll laminate them so we can mark things as they’re done with a dry erase marker. 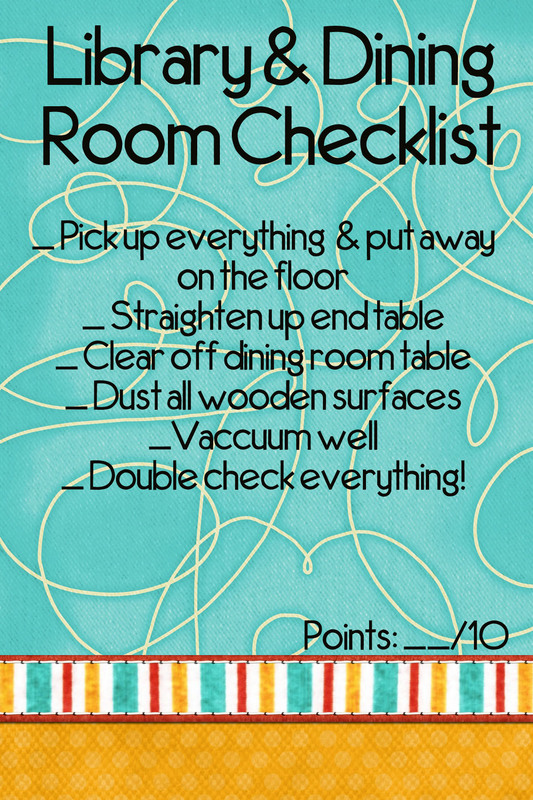 I don’t intend for each of these chores to be done everyday – my goal is to get through the room cards twice a week. I didn’t create a kitchen card because…well…that’s my chore and one that gets done every day. The kids pitch in with unloading the dishwasher and one of the items on their daily checklists is to start loading their dirty dishes throughout the day. I did create a daily card of things like making beds, brushing teeth, reading…the everyday stuff that I want to make certain gets done. The plan for now is that the kids will each have their own “Everyday” card and a room card daily. I debated long and hard about whether or not I wanted to do use a point system as shown with the original idea, and finally decided to go for it. I find my kids tend do better with some sort of incentive. I’m still working on reward ideas and what they’ll be worth, but, I’ll add a list of the rewards once I’m done (hopefully later this week). 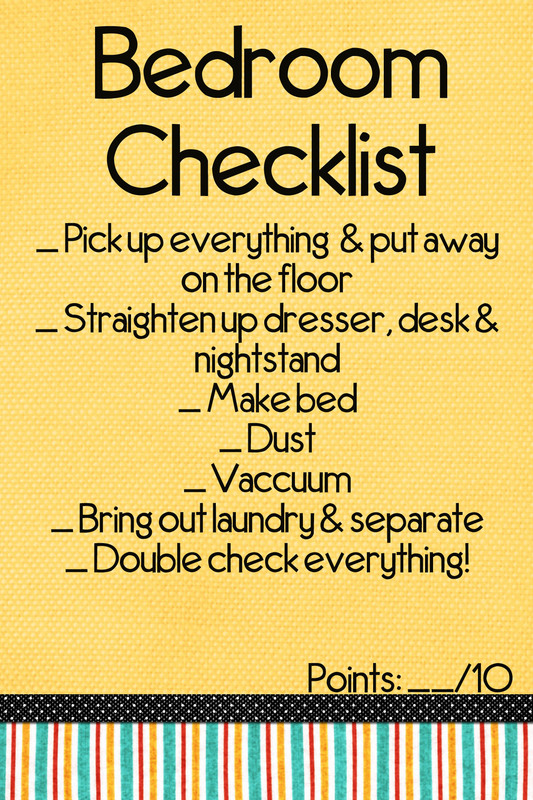 Do you have any favorite ways of keeping the house tidy when everyone is home more? 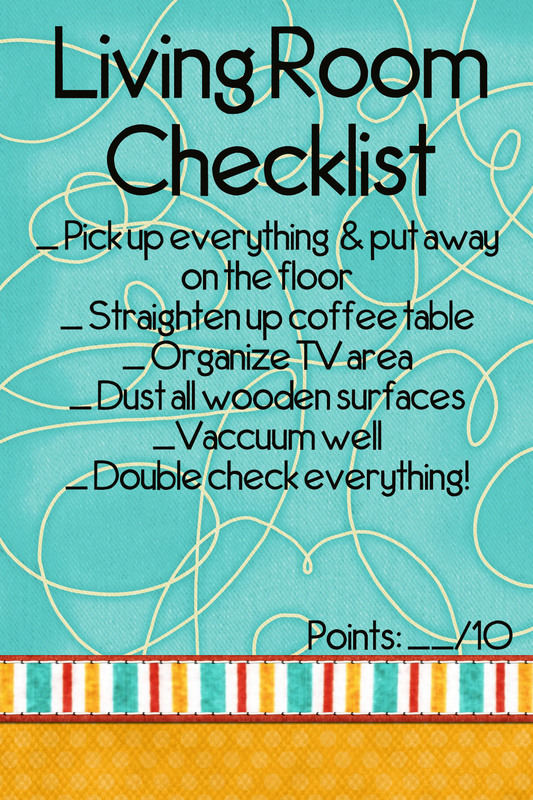 Here are the chore cards I put together – just click for a larger version.